Well it is January, it is Blue Monday, but it is also my birthday. I am having a treat then and having a few luxuries today. One of the things I’m enjoying is this new Whittard Limited Edition Blueberry Cheesecake Hot Chocolate, this is the other new flavour from Whittard and NLi10 wrote about the Raspberry Ripple yesterday. The front of the tub on this one states as blue as a berry, so I was expecting something quite fun in colour! I added some teaspoons of powder to my mug, and some hot milk and microwaved. Although it isn’t how they advised on the pack I find adding an inch of milk and microwaving for a few seconds works really well. I mix that up with the powder, top up the mug with cold milk and re-microwave until hot. The drink is very lilac, perhaps not blue as promised but still a very interesting looking drink. The taste is spot on, the blueberry shines through and is sweet. The base flavour is creamy but there is a nice vanilla hint of cheesecake too. 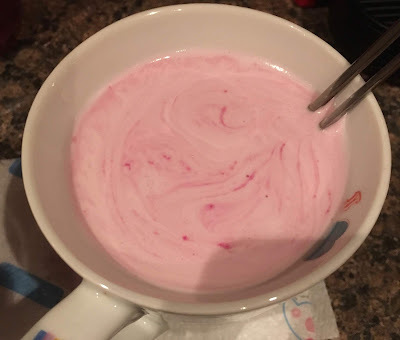 This is the drink you should have to cheer up in cold January, sweet, fruity, creamy and soothing. 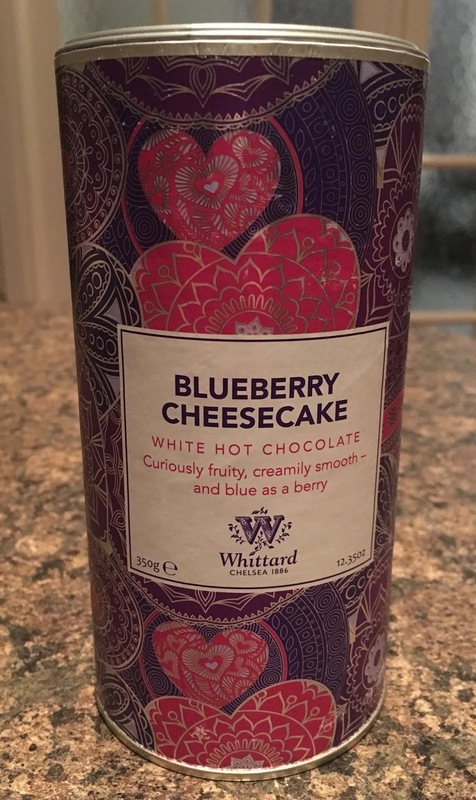 It is a proper yummy drink, forget Blue Monday I’d rather have Blueberry Cheesecake Hot Chocolate.